Kerem Kanter put on an MVP performance for Dzukija but fiery Leo Westermann and Zalgiris were the ones taking the win this time. 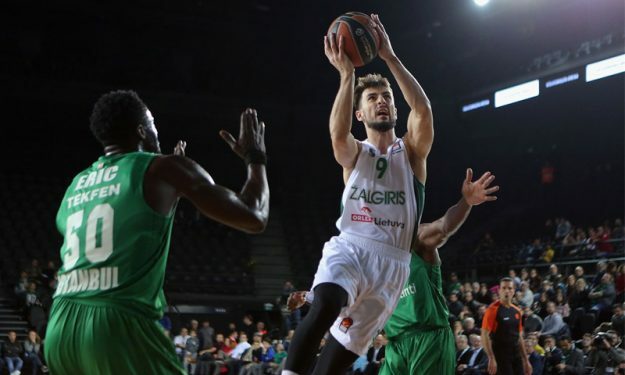 Ιn his third game after his return from injury, French guard Leo Westermann put on a show and pushed Zalgiris to a 90-75 road win against Dzukija in Lithuanian league. Westermann banked 20 points while missing only one shot from the field (7-8) while nailing six triples. Edgaras Ulanovas followed with 15 in addition to Aaron White’s 12 points. For Dzukija, Kerem Kanter nailed game-high 31 points and eight rebounds for a total of 40 rating while Elijah Brown added 12 and Dominykas Domarkas ten points. Zalgiris improved to a 20-2 record and leads the Lithuanian LKL, while Dzukija stands at a 7-14 record.